The 66th Primetime Emmy Awards honored the best in U.S. prime time television programming from June 1, 2013 until May 31, 2014, as chosen by the Academy of Television Arts & Sciences. The ceremony was held on Monday, August 25, 2014, at the Nokia Theatre in Downtown Los Angeles, California, and was broadcast in the U.S. by NBC. Comedian and Late Night host Seth Meyers hosted the ceremony for the first time. The nominations were announced on July 10, 2014. The scheduling of the Primetime Emmy Awards is coordinated with that of the Creative Arts Emmy Awards ceremony, which was held the previous weekend on August 16, 2014. 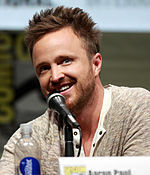 Breaking Bad was the major winner of the night, with five wins, including its second Primetime Emmy Award for Outstanding Drama Series for the second part of its fifth season. 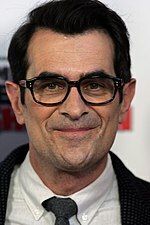 Modern Family won its fifth consecutive Primetime Emmy Award for Outstanding Comedy Series, tying with Frasier as the series with the most consecutive wins in the category. The Amazing Race won its tenth Primetime Emmy Award for Outstanding Reality-Competition Program as well. 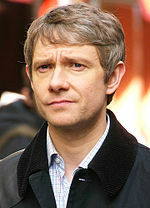 Other major winners of the night were Sherlock: His Last Vow (3 wins), American Horror Story: Coven and Fargo (2 wins each). "This year we're doing the Emmys on a Monday night in August, which if I understand television, means the Emmys are about to be canceled." 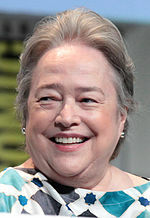 The ceremony was held on a night other than Sunday for the first time since 1976 (the 28th Primetime Emmy Awards were also staged on a Monday that year, May 17). The ceremony's unusual date — a Monday night in late August — was due to two factors, primary being NBC's commitment to Sunday Night Football; since acquiring the National Football League's Sunday night game package in 2006, NBC, when it is their turn in the four-network rotation to air the Primetime Emmy Awards, usually schedules the ceremony for the Sunday before Labor Day weekend, to avoid conflicts with SNF in mid-September (when ABC, CBS, or Fox normally air the ceremony). [Note 1] NBC's ideal date on the 2014 calendar for the ceremony (Sunday, August 24) led to the other scheduling factor — MTV's Video Music Awards, which were set for that night more than a year in advance (and would be staged in the L.A. area as well, at The Forum in Inglewood). On January 28, 2014, rather than go head-to-head with the VMA's, NBC announced that the ceremony would take place on Monday, August 25. 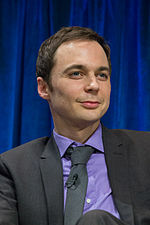 The move would allow NBC to commit to a preseason Sunday Night Football broadcast for the 24th (a game between the Cincinnati Bengals and Arizona Cardinals); it also ensured the tradition of staging the Primetime Emmy Awards the weekend after the Creative Arts Emmy Awards (that ceremony was already set for August 16). The ceremony's weeknight date and start time — 5:00 p.m. (PDT) in Los Angeles, California — led to concerns of rush hour traffic gridlock in Los Angeles' downtown core at the time of the ceremony; to help alleviate the concerns, the ATAS worked with Los Angeles city officials to map out street closures and red carpet staging areas, as well as include travel instructions (including which routes to take and where to park) in attendees' ticket packets. On November 14, 2013, the Academy of Television Arts & Sciences announced that it would implement online voting for its members to select the nominees. However, online voting to determine the winners will not be used until 2015, and winners for this year were voted on via paper ballots. There was also an increase in the number of longform nominees in writing, directing and performing categories for miniseries/movie (from five to six nominees) as well as a change in their final voting procedures. Additionally, a 2% rule was adopted in the comedy and drama series categories, wherein, a seventh nominee can be added to the respective categories if its total first-round votes are within 2% of the sixth place series. Andy Samberg "Weird Al's Theme Songs"
After the last picture was shown, a special tribute to Robin Williams, who died on August 11, 2014, was presented by Billy Crystal. Despite its departure from its normal telecast schedule, the 66th Primetime Emmy Awards received 15.59 million viewers, the second-largest viewership in eight years. ^ The last time a ceremony had to be scheduled around football was the 62nd Primetime Emmy Awards, which NBC aired on Sunday, August 29, 2010. ^ Reality television programs are honored in three categories: "Outstanding Reality-Competition Program", "Outstanding Structured Reality Program", and "Outstanding Unstructured Reality Program"; the last two are awarded at the 66th Primetime Creative Arts Emmy Awards. ^ a b c "Save the Date: Primetime Emmys Airs on Aug. 25". Academy of Television Arts & Sciences. January 30, 2014. Retrieved February 2, 2014. ^ a b c d e "NBC to air Emmy Awards on Monday (yes, Monday) Aug. 25". Los Angeles Times. January 28, 2014. Retrieved February 2, 2014. ^ Levin, Gary (April 25, 2014). "Seth Meyers named Emmys host". USA Today. Gannett Company. Retrieved April 24, 2014. ^ "Emmys 2014: Sherlock sweetens an otherwise bitter night for British stars". The Daily Telegraph. August 25, 2014. Retrieved August 26, 2014. ^ "Emmy awards 2014: Benedict Cumberbatch, Julia Louis-Dreyfus among winners – live!". The Guardian. August 25, 2014. Retrieved August 26, 2014. ^ "Emmys 2014: 'Breaking Bad' and 'Modern Family' Take Top Honors". The New York Times. August 25, 2014. Retrieved August 27, 2014. ^ "The 66th Primetime Emmy Award winners" (PDF). Academy of Television Arts & Sciences. August 25, 2014. Retrieved August 25, 2014. ^ "The 66th Primetime Emmy Award nominations" (PDF). Academy of Television Arts & Sciences. August 25, 2014. Retrieved July 10, 2014. ^ "2014 Emmy Nominations: 'Breaking Bad,' 'True Detective' Among the Honored". The New York Times. July 10, 2014. Retrieved July 10, 2014. ^ "Emmy Awards 2014: the nominations in full". The Daily Telegraph. July 10, 2014. Retrieved July 10, 2014. ^ "What a high! 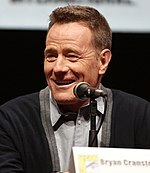 Bryan Cranston, Aaron Paul and Anna Gunn triumph as 'best drama' Breaking Bad enjoys a last hurrah at Emmy Awards". Daily Mail. August 25, 2014. Retrieved August 26, 2014. ^ Hammond, Pete (August 20, 2014). "Emmygeddon: Can TV Academy Avoid Monday Night Traffic Nightmare?". Deadline Hollywood. Retrieved August 22, 2014. ^ "Emmys to Introduce Online Voting in 2014". Academy of Television Arts & Sciences. November 14, 2013. Retrieved February 2, 2014. 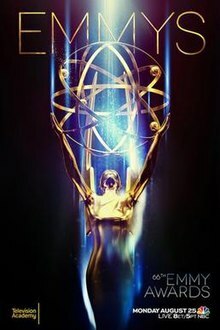 ^ a b c "Award Changes for 66th Primetime Emmy Awards". Academy of Television Arts & Sciences. Retrieved April 24, 2014. ^ "Emmy nominations 2014: The complete list". CNN. July 10, 2014. Retrieved July 10, 2014. ^ Beachum, Chris. "Oscar champs Halle Berry, Matthew McConaughey, Julia Roberts to present on 2014 Emmys ceremony". Gold Derby. Retrieved August 11, 2014. ^ "Sara Bareilles + Billy Crystal Lead Moving 'In Memoriam' Tribute at Emmys". PopCrush. August 25, 2014. ^ Leigh, Rob (August 14, 2014). "Robin Williams to be honoured at Emmy Awards with special tribute". Mirror Online. Retrieved August 14, 2014. ^ De Moraes, Lisa (August 20, 2014). "Billy Crystal To Deliver Tribute To Robin Williams At Emmy Awards". Deadline Hollywood. Retrieved August 21, 2014. ^ Kondolojy, Amanda (August 26, 2014). "Monday Final Ratings: No Adjustments for 'Hotel Hell', 'Bachelor in Paradise' or 'Under the Dome'". TV by the Numbers. Retrieved August 26, 2014. ^ De Moraes, Lisa (August 26, 2014). "Update: Seth Meyers Delivers Second-Highest Emmy Ratings In Eight Years — 15.6 Million Viewers". Deadline Hollywood. Retrieved August 26, 2014.